Beschreibung: TICINO RIVER: It is a mid-high flow rate river; the stream is quite fast and there might be obstacles which are always signaled and put in safety. 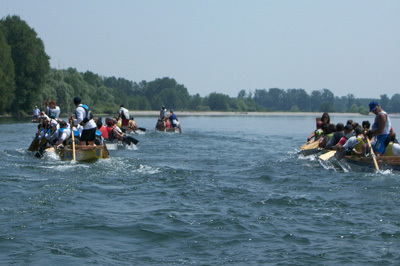 Experience in downstream paddling and boat handling are required. 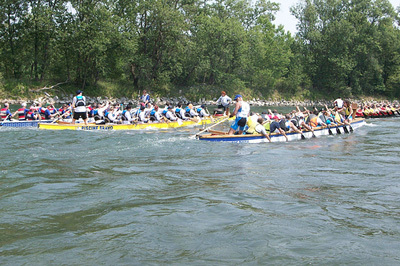 COURSE: on the Ticino River, from Bereguardo to Pavia 20 km. START: the starting point is at Ponte delle barche in Bereguardo, you paddle down the river to the Motorway Bridge; line-up and starting in line. 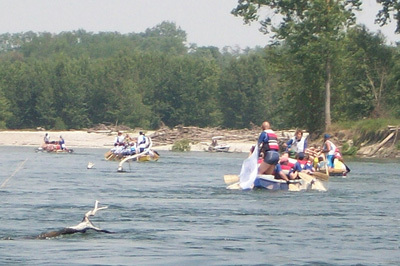 FINISH: the finishing line is against the current, towards Canottieri Ticino after rounding the mark downstream of Ponte della Libertà in Pavia.